Speaking at the second formal meeting of the TMP in Jaffna a couple of weeks back, Wigneswaran said that given its broad-based. 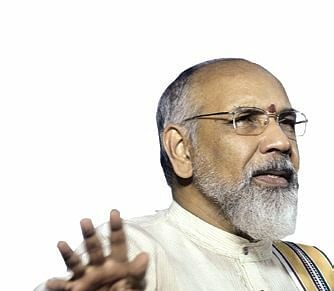 COLOMBO: The Chief Minister of Sri Lanka’s Tamil-majority Northern Province, C V Wigneswaran, has clarified that the Tamil Makkal Peravai (TMP), which he has floated, is not a rival to the Tamil National Alliance (TNA), but is a non-partisan, civil society watchdog meant to see that the basic interests of the Lankan Tamils are upheld by their leaders and not compromised for petty gains. Speaking at the second formal meeting of the TMP in Jaffna a couple of weeks back, Wigneswaran said that given its broad-based, grassroots character, the TMP will help the TNA and other Tamil political parties take the right decisions and the right approach to the problems of the Tamils. He pointed that traditionally, the powers-that-be in Lanka have tried to co-opt and neutralise sections of the Tamil leadership to subvert the unity of the Tamils and render them incapable of fighting for their rights. The TMP, he said, is only meant to give the present Tamil leaders (including those of the TNA) the necessary broad-based backing so that governments are forced to turn their attention from trying to satisfy the needs of individual leaders to meeting the demands of the Tamils as a whole. The CM said that there is concentration of power in the hands of a few Tamil leaders, and warned that individual leaders or political brokers cannot win for Tamils, their legitimate rights.